You are a name, not a number, and we are available at any time! 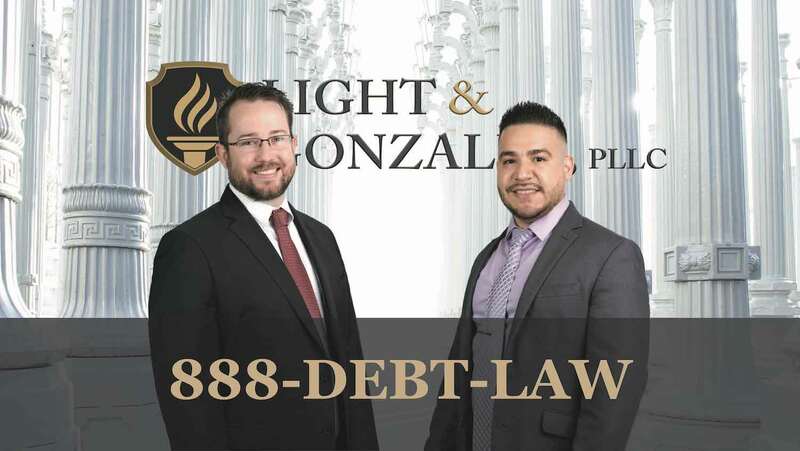 Light & Gonzalez, PLLC helps clients get out of debt, repair their credit, and enforce the rights afforded to them under federal and state laws. Our lawyers understand your financial circumstance may limit your ability to pay an attorney to provide the legal representation you deserve. Our firm has a number of different retainer arrangements to cater to your particular circumstance. Our firm represents many clients on a full contingency basis when state or federal law allows a consumer to obtain their attorneys’ fees if they prevail in litigation. Defending debtors and prosecuting unfair and abusive debt collection protects our South Florida community from illegal consumer practices. For clients, retainer agreements can be one of the most frustrating and confusing parts of the lawyer-client relationship. At Light & Gonzalez, PLLC our Plantation Florida Lawyers will explain the different attorney fee arrangements available for your particular case. Your financial situation, goals, and risk tolerance should play a large part in the type of fee arrangement you choose. 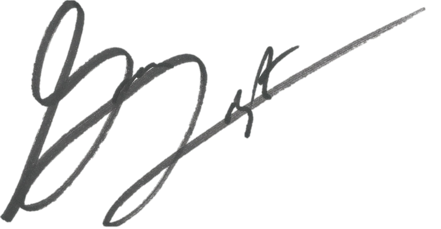 No matter which fee agreement you choose, we will work hard to achieve the best possible outcome for you. Read More About Our Retainers. Are you going through financial hardship? Our firm helps people through their hard financial times. Our Plantation Florida Lawyers help our clients try to get out of debt and get back on track with their credit. We represent clients defending credit card, revolving credit, promissory note, and breach of contract lawsuits that have been brought against them. We defend mortgage foreclosure and credit card law suits. We help clients apply for loan modifications and other types of loss mitigation to try to save their homes. Our firm even files Chapter 7 bankruptcies. Our lawyers will explore your credit history to see the credit bureaus are reporting negative information that the credit bureaus shouldn’t be reporting. If credit bureaus or the furnishers of the incorrect, negative information refuse to remove it, our firm will file a lawsuit to enforce your rights as a consumer. If you have any sort of debt related problem, our firm may be able to help you through those tough times. Contact the Plantation Florida Foreclosure Attorneys at Light & Gonzalez, PLLC today to find out more. The Fair Credit Reporting Act provides valuable rights to all consumers. When incorrect, negative information is being reported on your credit report you have the right to dispute that negative information. Our firm will help try to remove negative information from your credit report and improve your credit score. If the credit bureaus fail to conduct a reasonable investigation into your dispute or the credit furnisher continues to report the incorrect information; you have the right to file a lawsuit to have the information removed and to recover damages that the negative information may have caused you. Even if you do not have any actual damages, you may still be entitled to damages as provided by the federal and state law as well as to recover your attorneys’ fees and costs. These statutes allow our firm to represent many clients on a full contingency basis, which means you will not pay attorneys’ fees unless we are able to obtain a recovery for you. We are a law firm, not a credit repair agency, and we are prepared to file a lawsuit to enforce your rights as a consumer if creditors, debt collectors, or credit reporting agencies are violating federal and state laws that are designed to protect your rights as a consumer. Contact the Plantation Florida lawyers of Light & Gonzalez, PLLC to speak with an attorney today. Federal and state law provides remedies to consumers who are being harassed by debt collectors and creditors. The Fair Debt Collection Practices Act and Florida Consumer Collection Practices Act provide consumers valuable rights and protections against unfair, abusive, and deceptive debt collection practices. These laws enumerate specific actions that are unfair, deceptive, and abusive and also provide general protections to consumers even when what is happening to them does not fall into those specific categories. It is important to speak to a knowledgable lawyer to investigate your particular circumstance to see if you may have a claim. Even if you do not have any actual damages, you may still be entitled to damages as provided by the federal and state law as well as to recover your attorneys’ fees and costs. These statutes allow our firm to represent many clients on a full contingency basis, which means you will not pay attorneys’ fees unless we are able to obtain a recovery for you. Our firm files lawsuits against debt collectors and banks that violate consumer protection law and we are prepared to take your case all the way to trial. Contact the consumer protection lawyers of Light & Gonzalez, PLLC to speak with an attorney today. Are you being sued for a debt you do not owe? Our Plantation Florida Lawyers are committed to helping all people who are being sued for debts to do not owe. If you are being sued for a debt you have the right to assert legal defenses to protect your rights. Our lawyers are not afraid to take your case to trial to defend credit card lawsuits and other debt related lawsuits brought against consumers. Florida law will often all consumers to recovery their attorneys fees in the event they are forced to litigate a contract and ultimately prevail against the bank or debt collector. This allows our firm to represent some clients at a rate they can afford. Contact one of our South Florida Lawyers today to speak to an attorney about the lawsuit that has been filed against you. Are firm will provide you with a free initial consultation to discuss all of your legal options. We are actively involved in the legal and local communities! Greg Light, Esq. is a member of the Broward County Bar Association, the Federal Bar Association, the Young Lawyer’s Division of the Florida Bar among other organizations. Anthony Gonzalez, Esq. is a member of the Broward County Bar Association and the Young Lawyer’s Division of the Florida Bar. Both Lawyers are actively engaged in helping their local communities. Mr. Gonzalez frequently volunteers at local soup kitchens, homeless shelters, and through his church. Our attorneys are conveniently available for consultation in Plantation, Florida between Broward Blvd. and I-595. Greg Light is on the board of Rescue Apparel, Inc. a non-profit that sells clothing to benefit South Florida animal shelters. Greg has also represented non-profits in some of their legal matters. Contact our Plantation Florida lawyers today at 754-900-6545 to request a free consultation in Plantation, Florida. Foreclosure Defense is a good example of protecting our community from unsafe business practices. Prior to the financial crisis in 2008, some banks used sloppy records keeping procedures to keep track of the mortgages that they owned or held an interest in. When a mortgagor defaulted, it was not always clear who owned the loan or was entitled to foreclose on the home. This resulted in thousands of foreclosures brought by banks who did not hold the right to enforce the note and to foreclose. The Plantation Florida Lawyers at Light & Gonzalez, PLLC litigate foreclosure defense cases to try to get the best possible results for our clients. While homeowners may know that they have defaulted, what they do not always know is which bank is the correct party to institute the foreclosure action against them. This can be used as a defense in almost any foreclosure action. At Light & Gonzalez, PLLC our Plantation Florida Lawyers know how to use this defense to try to get a case dismissed. In the worst case scenario, the bank will foreclose on someone who has not actually defaulted on their mortgage. These situations can result in wrongful foreclosures or even unfair debt collections practices. When a case is dismissed, this sends a message to the bank to correct their sloppy recordkeeping procedure and business practices to ensure that next time they know with certainty that they are the correct party to enforce the mortgage. Contact the Plantation Florida Lawyers at Light & Gonzalez, PLLC to speak with an attorney. Call 754-900-6545 today and don’t be surprised if an attorney answers the phone. I would recommend Gregory to any individual who is looking for an honest, hard working, and aggressive litigator. Gregory is a dedicated attorney with a high level of expertise in his practice areas. Excellent attorneys. It's very easy to place your confidence in them as they are extremely resourceful and excellent litigators. I worked closely with Anthony on a number of civil litigation cases during my time in South, Florida. Anthony brought a depth of knowledge and passion that resulted in numerous decisions in favor of our clients. Mr. Gonzalez and his partner worked around my busy schedule and met with me after hours despite the long hours I am sure that they work. They took time to explain my options and how I could be compensated properly for my damages. They had an assortment of legal fee arrangements and tailored it so I wouldn't have to sell any organs and get superb representation. I wish every attorney I ever met were so helpful and reasonable. I truly felt cared about and I am definitely getting my money's worth with this dream team. Protecting our homes when the bank forecloses. Help with litigation, deficiency defense, loan modifications, and loss mitigation. Protecting the community from creditors by helping individuals and families use the legal tools available to discharge their debts. Protecting consumers from unfair debt collection practices by filing lawsuits against debt collectors and creditors who use abusive practices. Protecting small businesses in their legal disputes, and advising clients on how to navigate through the South Florida business environment. Protecting the community’s health when someone’s negligence causes injuries or wrongful death. Protecting our communities from unsafe drugs and medical devices that cause harmful side effects. Protecting our community from unsafe drivers when their negligence or intentional acts cause serious harm. Protecting our community from abusive discrimination practices that send our society backwards.